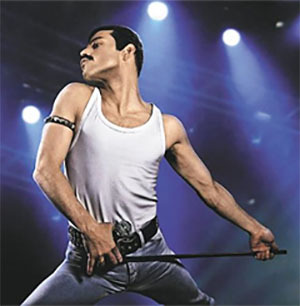 The success of the film "Bohemian Rhapsody" appears to have boosted sales of musical instruments among middle-aged people. The biopic about legendary British rock band Queen has attracted more than 6 million viewers in Korea since its release on Oct. 31. Online shopping site Gmarket said Wednesday that purchases of musical instruments by people in their 40s and 50s from Nov. 3 to Dec. 2 soared five-fold compared to a year ago. The number of people aged 50 or above buying drums shot up by 433 percent, while those in their 40s buying digital pianos rose by 50 percent. Sales of electric guitars to 40-somethings rose by 20 percent. Things were quite similar at online shopping site 11st, where sales of drums and digital pianos purchased by customers in their 40s and 50s rose by 71 percent and 35 percent. 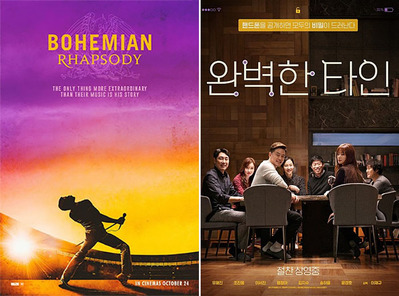 Industry insiders attributed the increase to Queen's music, which inspired nostalgia among the middle-aged after watching "Bohemian Rhapsody."